Ooh I love your block and pot mats - your block looks great on the wall doesnt it. Thanks for sharing. Very sweet mini! Lovely inspiration. Very pretty. Looks like fall has come to your house. Amazing poem, and amazing blocks as well. Your stitchery is awesome. My letters always get distorted, so I tend to use flowers instead! Loved seeing your pictures too. I love your block! I am going to start incorporating words in to the things I make sometimes. I am loving seeing the ones made for the hops! Great project. SUch inspiration. Thank you for sharing with us. That looks great hanging in your sewing room! Great blocks, terrific family. Thanks for sharing. The way you did those leaves are super cool, but the kids playing was even better! Nice fall blocks and wonderful family memories being made too. Just lovely Amanda...the blocks and the family....great fun going on there!! Your mini quilt is so pretty! 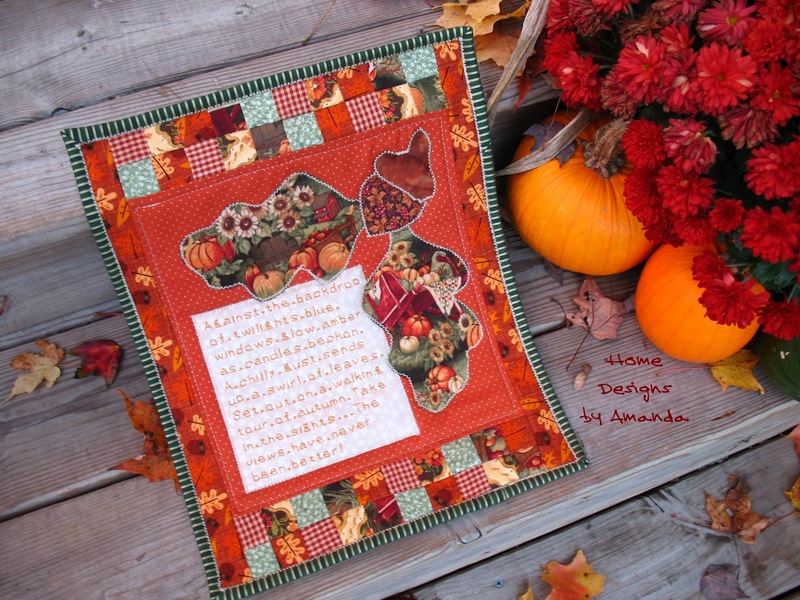 I was drawn to the patchwork border in pretty fall colors! It looks like everyone is enjoying playing in the leafs! Good Morning Amanda and fan....love all of your pics, your blocks, your creativity...very pretty indeed. Your little wall hanging is just perfect! The pot holders are festive too. I love both of you pieces. Also like the photos of the family. How wonderful is Fall???? Thanks For Sharing! What a pretty little wall hanging to remind you of fall! Beautiful, Amanda! I love your photos, too, of your family having fun in the fall leaves and yard! Great memories!!! Your wall hanging is lovely, and I love the granny square blocks. I'd never thought of making pot holders! Love the acorn block and family photos!! Pretty block and fall potholders are a favorite here as well. Fall is moving in quickly. But since it is my favorite season, I am ready for it to be here. Pretty fall colors in your granny square block. Thank you for sharing it. What marvelous granny squares you have, the choice of fabrics is perfect! 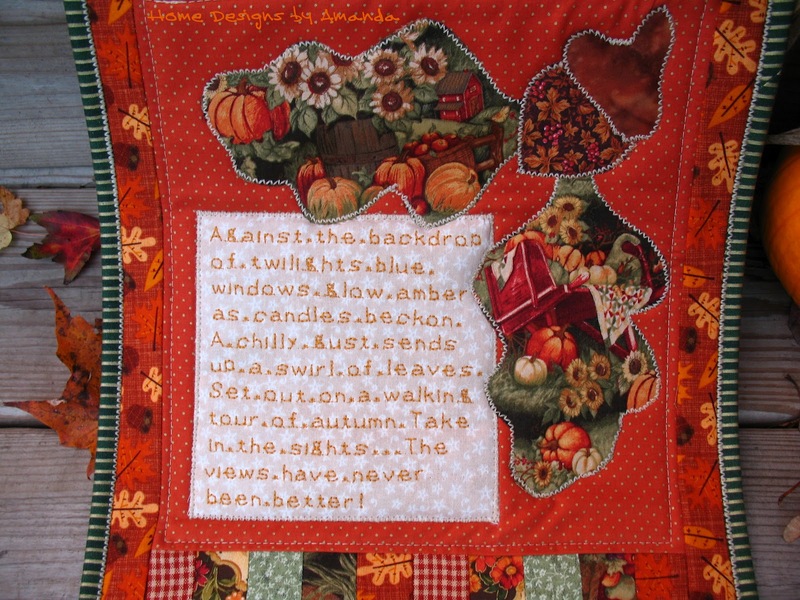 You made a great quilt with poem, it is lovely! The potholders are nice aswell, thanks for sharing. Thanks for showing your lovely family and garden! It is always nice to peak in other bloggers lives! Your wall hanging is just plain beautiful. I love the poem with it. Thanks for sharing the pictures. They reminded me of when my kids were young. What a great poem and you make a beautiful wall hanging with it. THanks for sharing your pictures and talent. Amanda-Thanks for sharing a small part of your life and work. Your pictures bring back fond memories of our two girls, now grown and out on their own. They loved jumping in the piles of racked leaves that are abundant in the fall. Savor every minutes as they go by too quickly. From California. Great Projects and the colors tell us it is fall. Thanks for sharing your blocks with us. A great wall hanging. Thank you for sharing such fun pictures of your family. Fabulous wall hanging! and thank you for sharing your lovely family photos! What a wonderful block and wonderful family!! Lovely blocks. Thanks for sharing. Cute family. Beautiful blocs and your family pictures are adorable.Thanks for sharing! Your blocks are beautiful and so is your family! Very nice blocks! Thanks for being part of the hop. I love your wall hanging - who cares about the size!!! Your pot holders will be great too, perfect size! 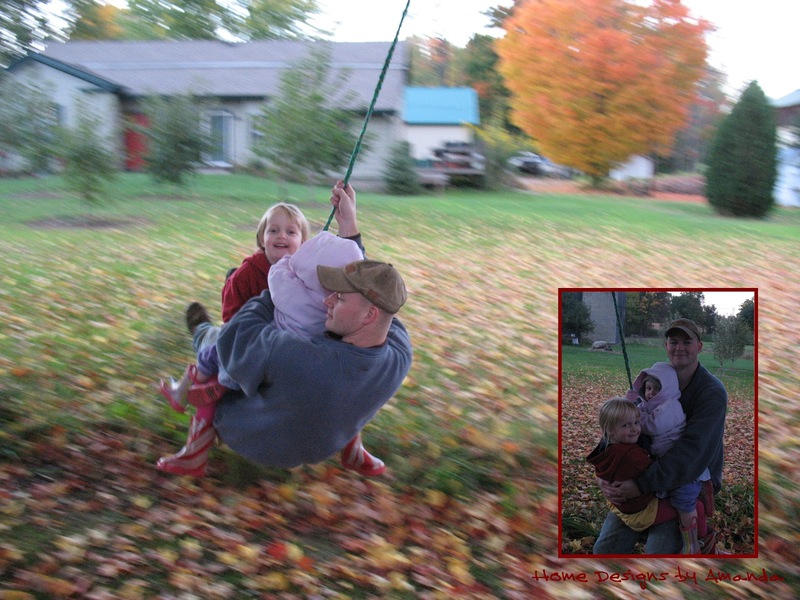 Thank you for sharing the joyful pictures of your family enjoying the beautiful fall colors. Blessings!!! 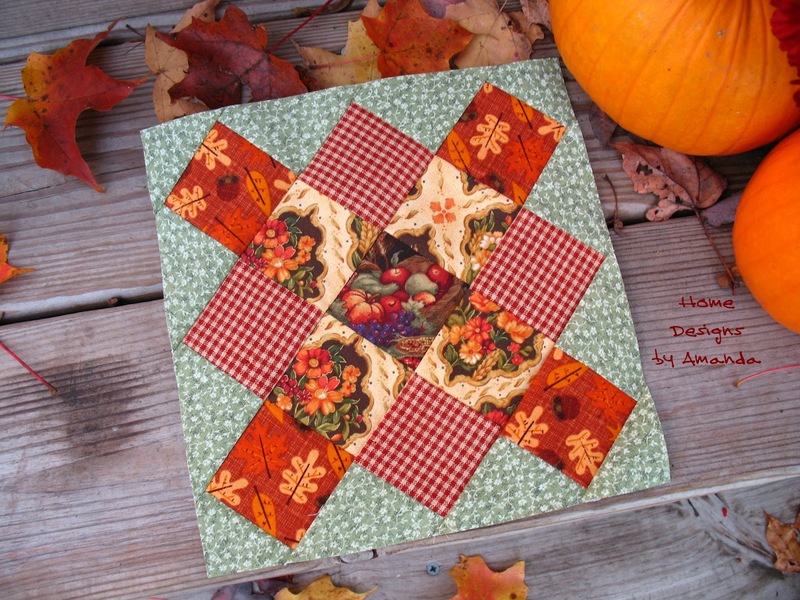 Your mini quilt is perfect for fall. Love the photos of your precious family. Thanks for sharing the scripture too. I love the embroidery and all of the colors you chose. 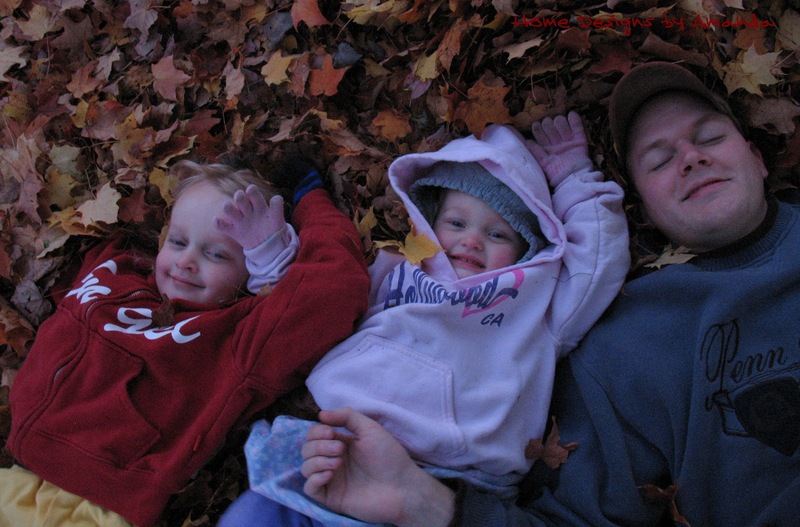 I love the photos of your hubby and girls and you in the leaves and enjoying time together! Love both your block and your pot holders. They are gorgeous. Very nice wall hanging! I like the combination with the poem! Your mini quilt looks lovely on your sewing room wall! I love the fall colours in the granny squares. great wall hanging a love the photos of your family enjoying fall. Great wall hanging!! I love your work Amanda!!! Your wall hanging is delightful! It definitely brings Fall into your home. Where did you get the handle to the ruler, Amanda? I'm from Poland and in our country I can not find this anywhere. 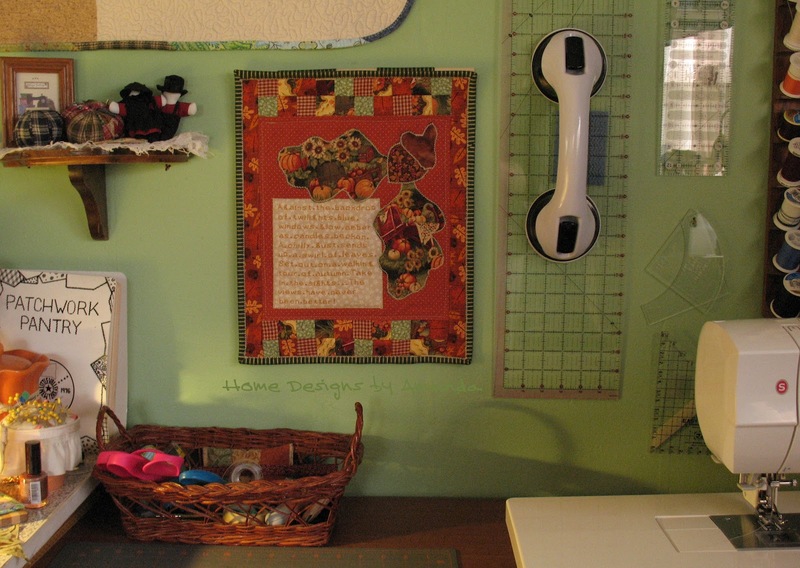 Your beautiful little wall hanging looks great on our sewing room wall. Great set of potholders in the making. Thanks for sharing your projects and your family photos. Love the wallhanging - it was meant to go there :o) thanks for sharing amanda!!! Love your wallhanging. Thanks for sharing with us all. Very beautiful. And so is your family, what fun they are having. Thanks for sharing. My giveaway is still going on over @ The Learning Curve, http://jeannegwin.blogspot.com/2012/10/leafs-me-happy-day-3.html Come one - Come all and enter to win 6 FQ's of fall-ish fabric, you have until midnight Wed, October 10 to enter. Love the way you incorporated that cute little saying in your block! Thanks for sharing. Your block looks very, very nice on the wall in your sewing room. How do you find time to sew with two such cute little girls. I think I did more sewing when my children were little! I found a way. I had more energy when I was young and I just did it. I love the granny squares. Your sewing is precise. I love it and I love math. I was a math major. They will make delightful and cheery pot holders. I found my Insulbrite today and this helps to inspire me to make some pot holders, too! I love the orange dots with it and the greens. Green is not one of my favorite colors and this just makes the block - good eye for color! 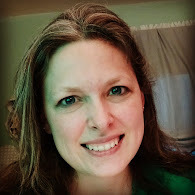 Thank you for taking time from your busy life to participate in the blog hop and share your creativity. 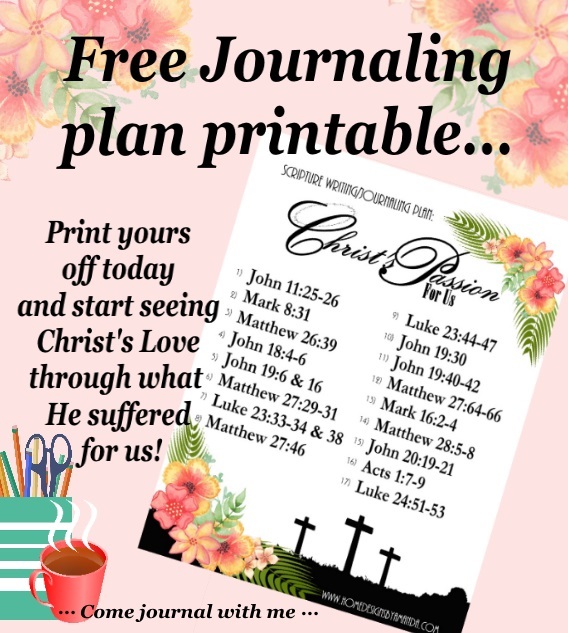 I love your use of scripture to inspire and calm. As we all do at times, I'm walking through a difficult time and the scripture was calming to remember that God is in control. Thank you for the reminder. It's nice to know there are those you are bold for the kingdom of God. You will be richly blessed! I love your cute block and the family pictures are lovely. You are right about the speed at which the trees drop their leaves. One day on the tree the next on the grass. You made a wonderful wall hanging. I love the fabric in the leaves. Lovely wall hanging. Great block. Wondeful pictures of the family. I too like this verse. Thanks for sharing. Your mini & granny square projects are beautiful! Thanks for sharing your family photos, participating in the blog tour & inspiring us today! Beautiful fall mini, Amanda. I love the colours and how clever to add that poem. 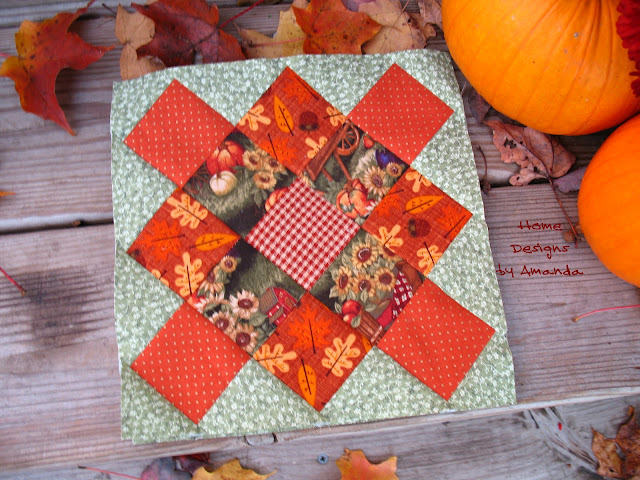 Granny blocks are a fave of mine, they look gorgeous done in fall fabrics! What a beautiful wallhanging Amanda! Hiya Amanda! I love your little wall hanging, it's just so 'autumny' lol. And the pot holders are just the thing for fall. I've been itching to try some granny squares, hopefully soon. Thank you for sharing your work and your lovely family. Blessed be, hugs!!! Love your fall granny block and your wall hanging. Both are lovely. My Goodness You do beautiful work. Thanks for sharing with us. What lovely fall projects. Thanks for sharing.